Tired of your ho-hum big-bottle brews? Good news — “independents day” has come early this year. In honor of American Craft Beer Week, it’s time to raise a glass to those raising the bar when it comes to brewing beer with personality, love, and a little bit of ingenuity. Here are a few top restaurants to celebrate American Craft Beer Week 2017. 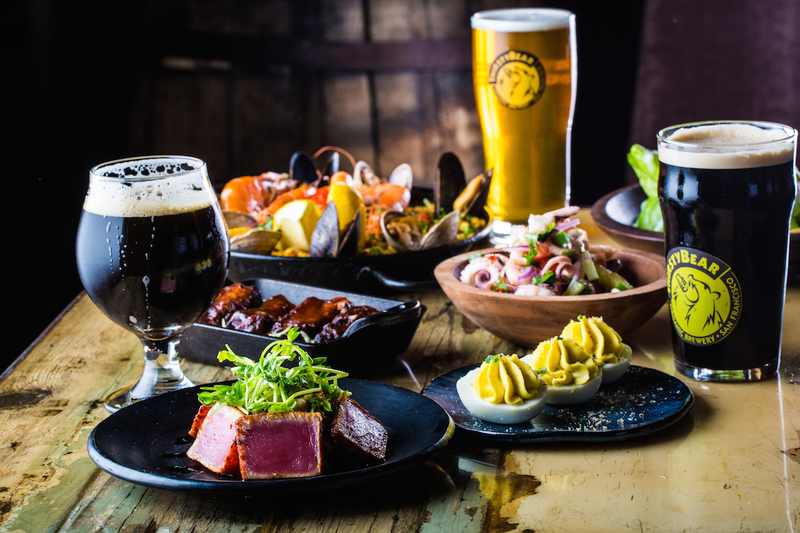 It’s not all about sangria at this tapas restaurant—ThirstyBear celebrates the singular spirit of the Gold Rush State’s beer-making with three special brews, including a golden lager, an India pale ale, and an amber lager. The flight is available all week (through May 21) for $8. The style of beer known as California Common began in San Francisco during the Gold rush, when due to a lack of refrigeration and ice fermentation ran warmer than usual, getting close to ale fermentation temperatures. Today you can taste the same style known as California Common, and learn about it at the screening of “Blood, Sweat, and Beer,” a documentary about the growth of the craft beer industry and two start-up breweries, during a screening at ThirstyBear on Saturday, May 20 (admission includes a beer). Make a reservation at ThirstyBear Organic Brewery. Keep it small with $5 local pints all week long, or enjoy daily samples of limited-edition brews or Founder’s Kentucky Breakfast Stout, Sierra Nevada Tropical Torpedo IPA, Well’s Banana Bread Beer, and more. Bigger events include a Lagunitas game night and tap takeover, featuring large Jenga, pinball and more; and a beer and bites collaboration with Ballast Point. 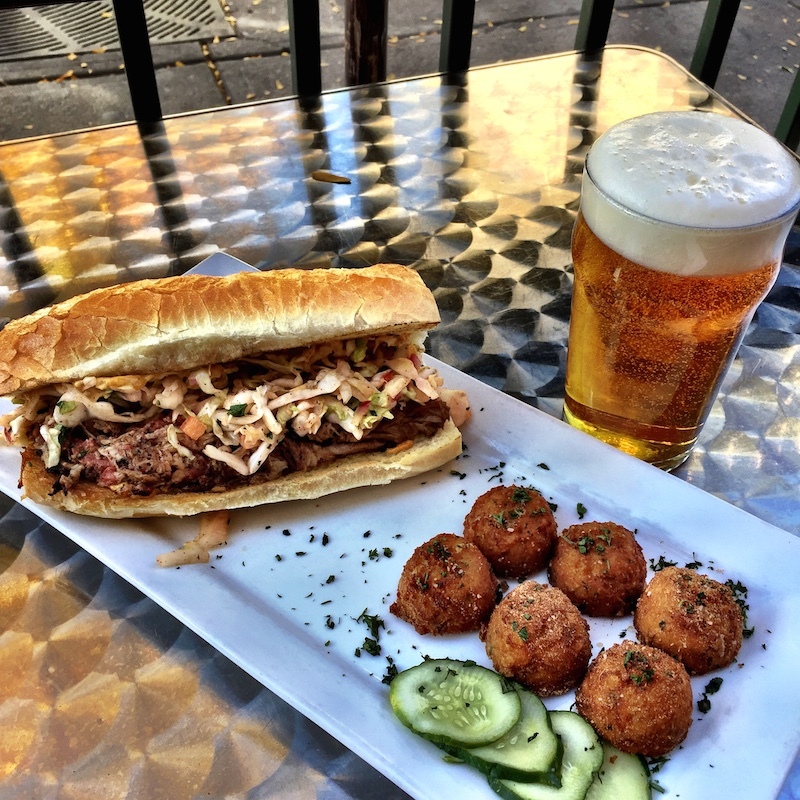 Pair the San Diego brewer’s unfiltered IPA with such Public House hits as buffalo or burnt-end brisket mac ‘n’ cheese, smoked barbecue, or flatbreads. Make a reservation at Public House. 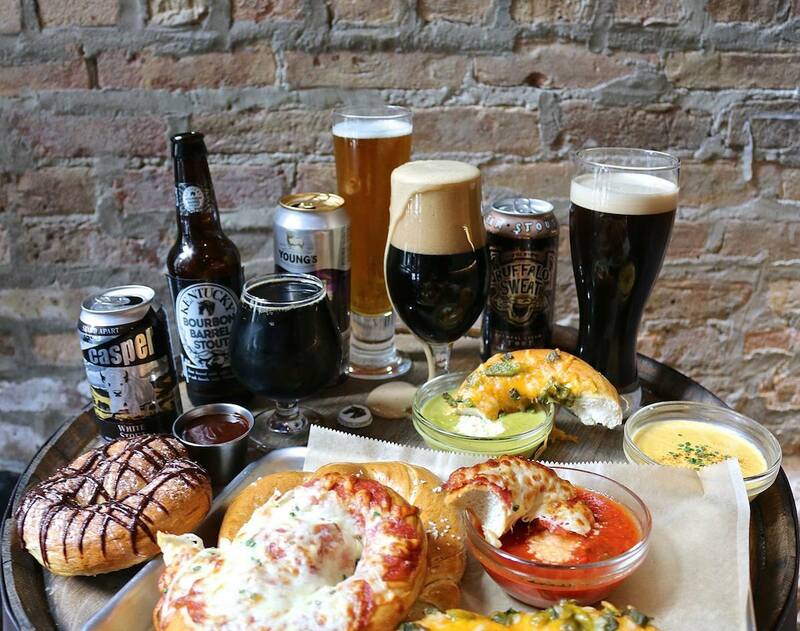 Freshcraft serves up upscale comfort food in a casual atmosphere — so Craft Beer Week is celebrated in the same spirit with all brews and bites available a la carte as opposed to pre fixe. Expect three pairings that can be eaten separately or as a three-course meal, and some special limited-edition brews offered just for the occasion. Local brewers in the spotlight this week at Freshcraft’s 25 taps include Station 26, Ratio and Weldwerks. Enjoy the special menu or Weldwerks Chocolate Orange Belgian Tripel, Weldwerks Alpha Bits or Ratio Heart Tattoo Blackberry Wit alongside such menu hits as fried chicken, steak frites, and mesquite-brined pork chops. Make a reservation at Freshcraft. Every night has essentially been a celebration of craft beer across from Lambeau Field, where Hinterland just opened a new beer hall and brewery/restaurant. On top of 10 Hinterland offerings, there are also 14 guest taps from local brewers and others in Wisconsin. This week the spotlight’s Green Bay collaboration beer, Locals Only Guava IPA. Saturday tours are hourly from noon to 3PM, and include a commemorative glass and two beers. Want to stay around longer? Expect much more than game food, with a contemporary American menu featuring fresh fish from Hawaii, Seattle, and Portland, Maine, and game from local ranchers and heirloom produce, such as hand-foraged mushrooms, from local growers. 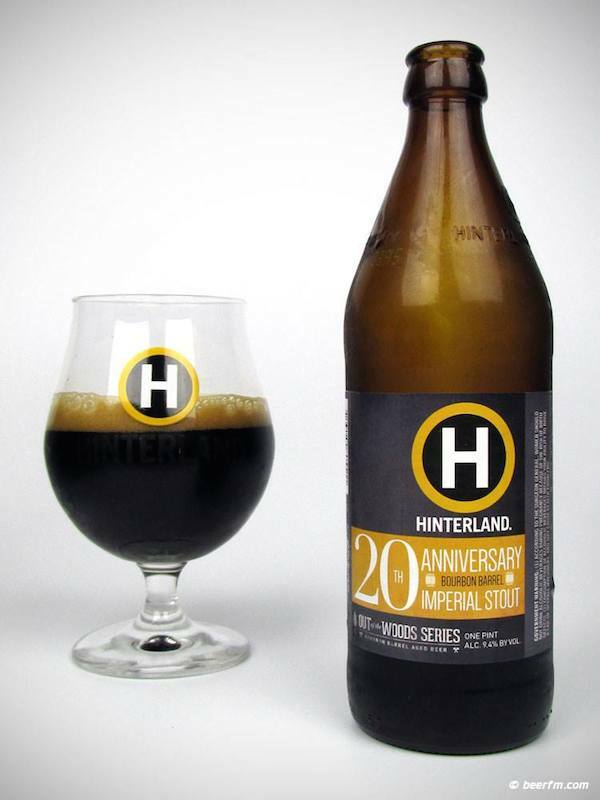 Make a reservation at Hinterland Brewery Restaurant. 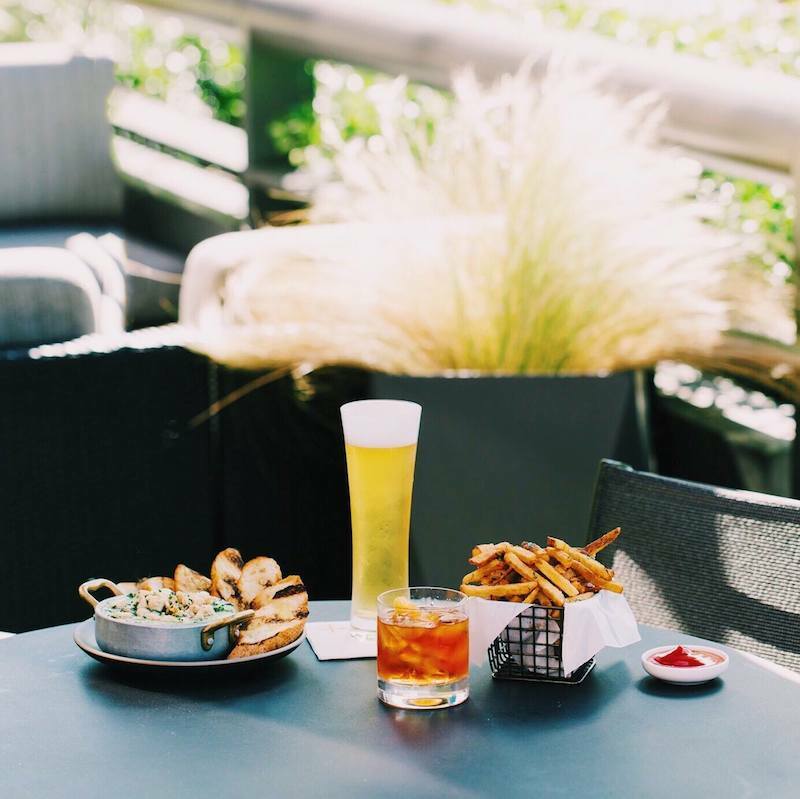 Gin, scotch, wine, craft cocktails and beer on tap—Nick + Stef’s might have one of LA’s best happy hours for a reason. But mix it up with a Sunday Funday event filled with music, beer, and games and a unique limited-edition brew with new executive chef Megan Logan and Golden Road Brewery just in time for Father’s Day. Enjoy small bits, tastings of Golden Road Brewery specialty beers and all-you-can-drink Golden Road Get Up Offa That Brown on June 18, or go all-out with a $79 24-ounce bone-in rib-eye served with one side and Golden Road’s Wolf Mother, a special small-batch release triple IPA brewed just twice a year. Make a reservation at Nick + Stef’s Steakhouse. 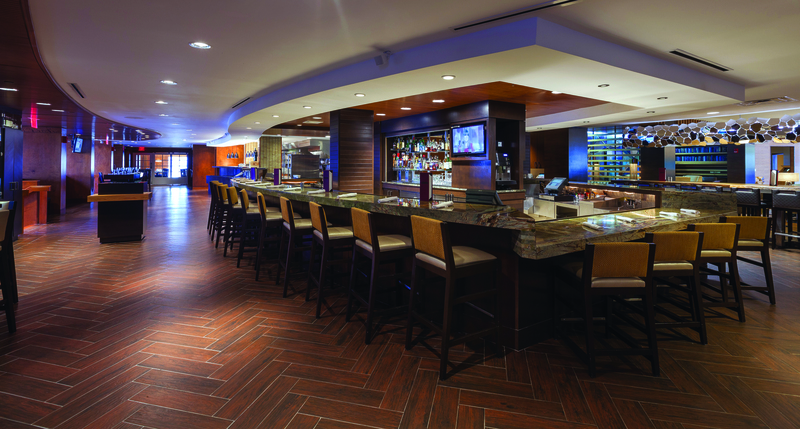 Although it’s located inside a Marriott, expect anything but the usual ho-hum selection of large-market brews. In an effort to give businessmen a little bit of a taste of the fun side of Massachusetts, Chopps steakhouse and bar (just outside of Boston) spotlights only local beers and small craft brewers. That’s taken on a new tack lately with monthly beer pairing dinners, including Lynn-based Bent Water Brewing; and Somerville’s Slumbrew, where wild boar sausage with sol orange heffeweizen, grass-fed hangar steak with New England-style IPA, and a bacon and bourbon gelato ice cream sandwich with porter blew diners away. Make a reservation at Chopps. What are your picks for restaurants to celebrate American Craft Beer Week 2017? Let us know here or over on Facebook, G+, Instagram, Pinterest, or Twitter. And, remember to snap + share your #dishpics with us on Instagram for a chance to win in our weekly giveaway. Photo credit: Ghost Media (Nick + Stef’s Steakhouse). Ridiculous list, dumb article. There are countless bars in Michigan (more craft breweries than any other state) that have 50+ beers on tap – including HopCat with 100 craft brews on tap – and none made this list. Golden Road is owned by AB Inbev and is not craft. Support your locally owned breweries during American Craft Beer Week and every other week. Not mega conglomerate breweries owned by people who want to wipe out independent craft beer.